Quarrels concerning alimony, child support and child custody, tracing missing persons, locating vehicle owners, burglary of a home or company grounds, violation of sick pay, false claims for expenses, unregistered work, unfair competition, data theft – the list of cases handled by our IHK-certified detectives in Görlitz is long. We will gladly investigate in your case, as well: +49 351 4188 447-0. Not sure yet? Have a look at our references! 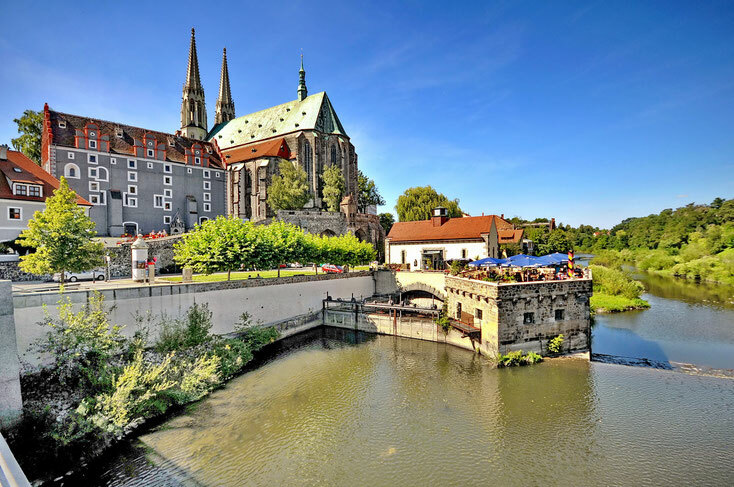 Görlitz and its 54,382 inhabitants are located at the Polish border and thus Germany's easternmost city. But not only that: It is also incredibly beautiful. 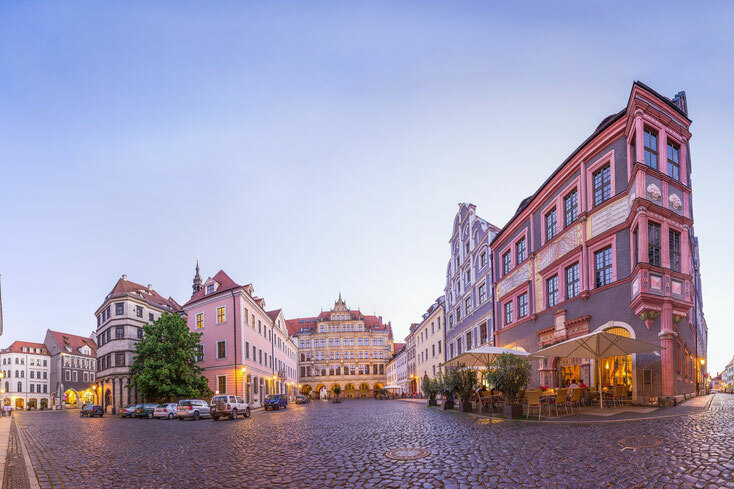 Unfortunately, the people in this beautiful old town of Görlitz, which attracts great masses of tourists in the region, have to deal with the same problems as anywhere else: fraud, damage of property and burglary, as well as highly personal issues such as infidelity, domestic violence, and stalking. Our private detectives in Görlitz investigate on behalf of the city's inhabitants as well as on behalf of people from outside, clearing civil and criminal cases. Our investigation methods are discrete, reliable, and conformable to the law, and they include detailed documentation of gained evidence to help our clients clear uncertainties and make their claims. We will gladly advise you in a non-binding interview on your specific case. You can use our contact form or give our detective agency in Görlitz a call. Mechanical engineering, manufacturing of rolling stock, and retail with the respective suppliers are the main pillars of Görlitz' economy. The main employers are large companies such as the Bombardier Transportation GmbH, the Brandschutztechnik Görlitz GmbH, the Siemens-Turbinenwerk and the Sysmex Partec GmbH. A number of small and medium-sized businesses completes the city's economic landscape. Not only big companies have to deal with corporate crime: Embezzlement, burglary of company grounds, theft, illicit misappropriation of company secrets, and many other forms of crime are committed in all kinds and sizes of businesses. Unfortunately, the employees of a company are involved in about half of the cases which affect the company negatively. These cases include fraudulent sick leave, false claims for wages, theft, illicit dealings with the competition, and passing on of company data and secrets. The wide range of investigation methods of our certified corporate detective agency in Görlitz leads to the clearance of most cases. These methods include the surveillance of suspected persons, research, investigative interviews with possibly involved persons, and the surveillance of people dealing with stolen goods – and these methods can also be applied to your individual case. Often, we are able to secure stolen goods, to bring them back to the appropriate owner, and to gather valid evidence for criminal prosecution. Our corporate detective agency in Görlitz will gladly talk to you about your case, too: +49 351 4188 447-0. Kurtz Investigations also operates beyond the borders of Görlitz. *Please note: All operations of Kurtz Investigations Dresden are executed and billed from the Enderstraße in Dresden. The other operating cities and regions advertised on this domain are neither local branches nor permanent establishments of the Kurtz Detective Agency, if not explicitly stated differently. We can offer you affordable traveling expense flat-rates nationwide. The same applies for traveling to a wide range of areas abroad. When operating in the countryside, the cost evaluation starts from the next greater city. You can find further information on our fees here, and on our operating areas here. *Hinweis: Alle Einsätze der Kurtz Detektei Dresden werden von der Enderstraße 94 in Dresden aus durchgeführt. Bei anderen auf dieser Domain beworbenen Einsatzorten oder -regionen handelt es sich weder um örtliche Niederlassungen noch um Betriebsstätten der Kurtz Detektei Dresden, sofern nicht explizit anders ausgewiesen. Wir können Ihnen bundesweit günstige Anfahrtspauschalen bieten, Gleiches gilt für zahlreiche Regionen im Ausland. In ländlichen Gebieten erfolgt die Berechnung in der Regel von der nächstgrößeren Stadt. Weitere Informationen zu den Honoraren finden Sie hier und zu den Einsatzorten hier.